Here, in a special BROADWAY style tribute, TV Personality and International Recording Artist Timothy O'Keefe offers a fascinating and entertaining look at the life of Frank Sinatra - the singer, the actor and the man. You will visit his most powerful, productive and provocative time, 1953 to 1961, the years he recorded with Capitol Records and established himself as one of the most recognizable personalities on the planet. This is not an impersonator or lookalike show, but an affectionate musical and biographical look into one of the greatest entertainers of the 20th Century by what the CHICAGO TRIBUNE labeled, "...A WORLD CLASS SINGER". You'll take a voyage through Frank's life; his fall from grace --- his amazing recovery in FROM HERE TO ETERNITY --- the beginning of Las Vegas --- the birth of an artistic union with Nelson Riddle that survived over four decades --- the making of a major film star --- the Rat Pack --- superstardom and, of course, we can't forget Ava. The LA TIMES had this to say about Mr. O'Keefe, "... follows in the footsteps of great singers like Tony Bennett." Timothy and his BIG BAND ORCHESTRA will take you through works of Cole Porter, the Gershwins, Sammy Cahn, Jimmy Van Huesen, Rodgers and Hart, Jules Styne and many others --- musical giants who helped shape the body of work that made Francis Albert Sinatra so popular. Your audiences will enjoy one of the finest pop artists of today telling the story, in music and words, of the extraordinary life of a LEGEND. 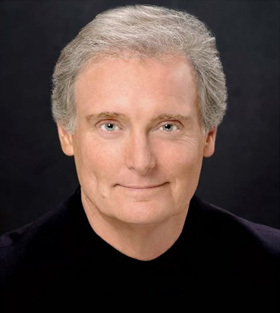 From Alan Sewell on The Young and the Restless and Doctor Erickson on Days Of Our Lives, Timothy O'Keefe's varied and exciting career has led him down a trail as Television and Film actor, recording artist, musical entertainer, director, stage actor and cruise ship headliner. Along with his soap opera roles, he was seen as Foster Wolfe with Chad Everett on ABC's McKenna. He has guest-starred in numerous TV series such as Fantasy Island, Quincy, Battle Star Galactica, CHiPS, Buck Rogers, McClain's Law, and numerous others. O'Keefe's stage performances have included the roles of Billy Bigelow in Carousel, Curly in Oklahoma, Bobby in Stephen Sondheim's Company, as well as a string of dramatic roles in numerous award winning plays. As a singer and entertainer, his nightclub dates include Las Vegas and Reno. O'Keefe was a frequent guest on the Tonight Show and the popular Merv Griffin Show. He received rave reviews from his performances at the Mark Hopkins in San Francisco, the Coconut Grove in Los Angeles as well as the Four Seasons in Seattle. The San Francisco Chronicle had this to say: "...has the capacity to connect with his audience in a way that escapes most singers. Mr. O'Keefe's interpretive style breathes life into the lyrics... Not just a great voice!" 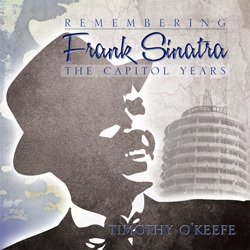 New album, REMEMBERING FRANK SINATRA: THE CAPITOL YEARS, will be available soon.